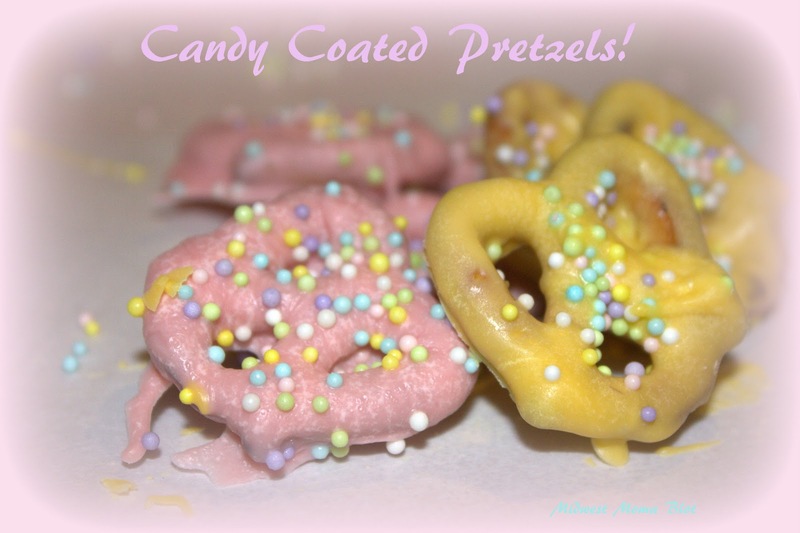 Midwest Moma Blog: Candy Coated Pretzels! 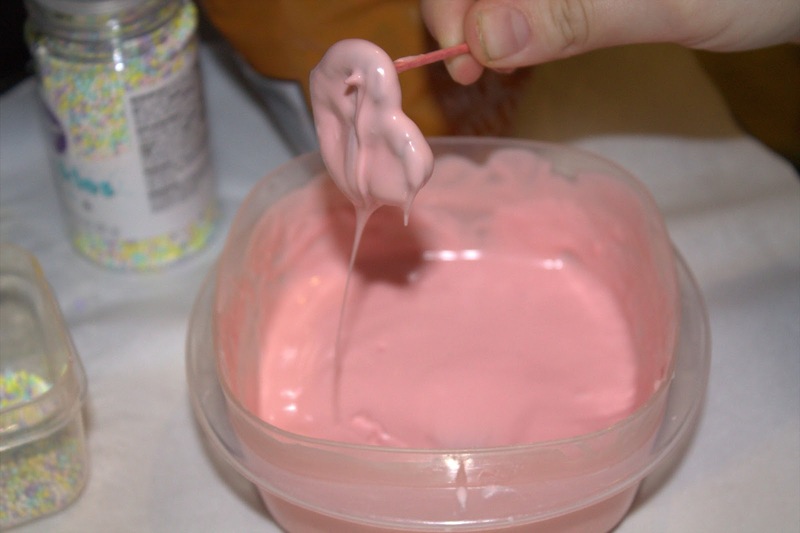 In preparation for the holiday, the oldest son and I set out to make some treats for our family dinner. This was something I intended to make for St. Patrick's Day, but the bag of pretzels I bought for it were mysteriously eaten by unknown persons in my home! I bought Wilson's meltable candies in light pink and light yellow, Easter colored sprinkles, and big bag of pretzels (that I hid for four days to ensure they survived!). 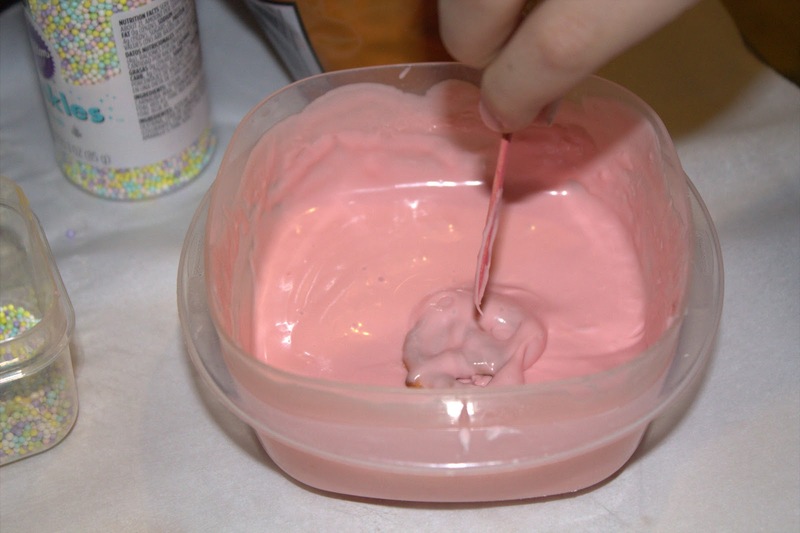 I melted the candies in the microwave (a layer of circles takes about 1.5 minutes in my microwave). We then plopped a pretzel in the melted candy, flipped it using a toothpick, and removed it from the melted bowl and placed it on wax paper. 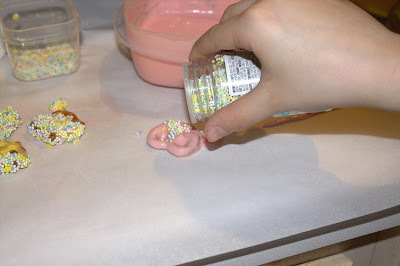 We then sprinkles some sprinkles on them and let them harden. The outcome was pretty decent and I gotta say....my 10 year is quite handy in the kitchen! Linked at the NEW TheGirlCreative Link Party! Check it out HERE!